Developed to efficiently clean type S and WS upholstery and fabrics which cannot be cleaned using traditional wet or hot water extraction methods. Quickly releases oil and petroleum-based soils from carpet and upholstery fibers and emulsifies them for easy, clean-rinsing removal. 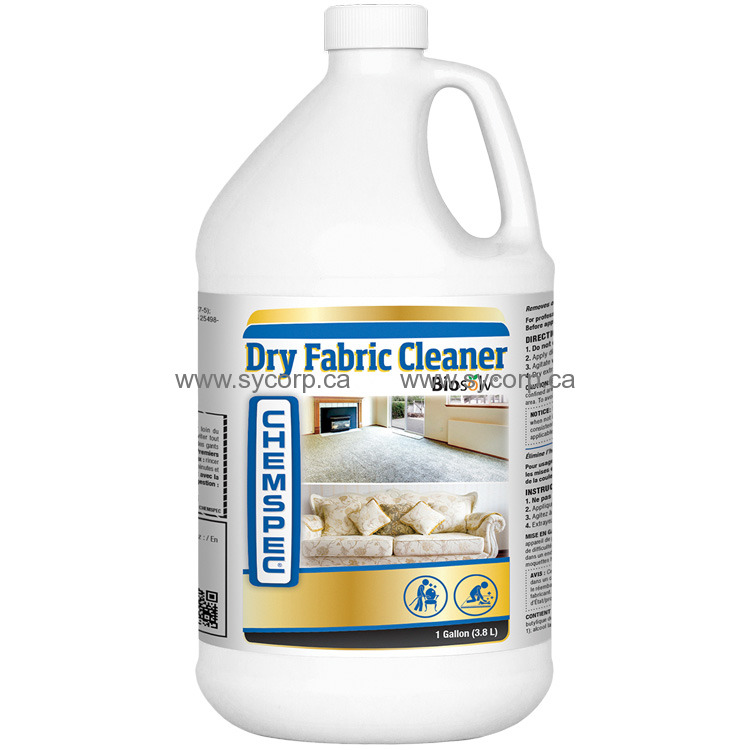 Developed to clean “dry clean only” fabrics - Dry Fabric Cleaner was developed to efficiently clean fabrics which can not be cleaned using traditional wet cleaning methods for upholstery, drapery, or clothing. Special formulation to loosen and remove varied soil types- The special formulation of selected solvents has given Dry Fabric Cleaner the ability to remove a wide variety of fabric soils no single dry solvent is able to do. The result is an “across the board” cleaning ability to efficiently bring soiled fabrics back to a high appearance level. Balanced evaporation cycle - Dry Fabric Cleaner’s selected solvents provide efficient cleaning with a balance evaporation cycle resulting in reduced chance of increasing flammability. The result is greater safety during the drying process. Can be used with either hand method or machine dry cleaning techniques - With a higher flash point (160º F) Dry Fabric Cleaner has increased safety when used in conjunction with traditional hand or specifically designed upholstery, drapery, or clothing dry cleaning equipment. The result is increased safety for cleaning personnel and decreased chance of unwanted injury by fire.